Today I visited “Tokyoeki Ikaruga”, which was a branch of a famous “Kudan Ikaruga” in Kudanshita. 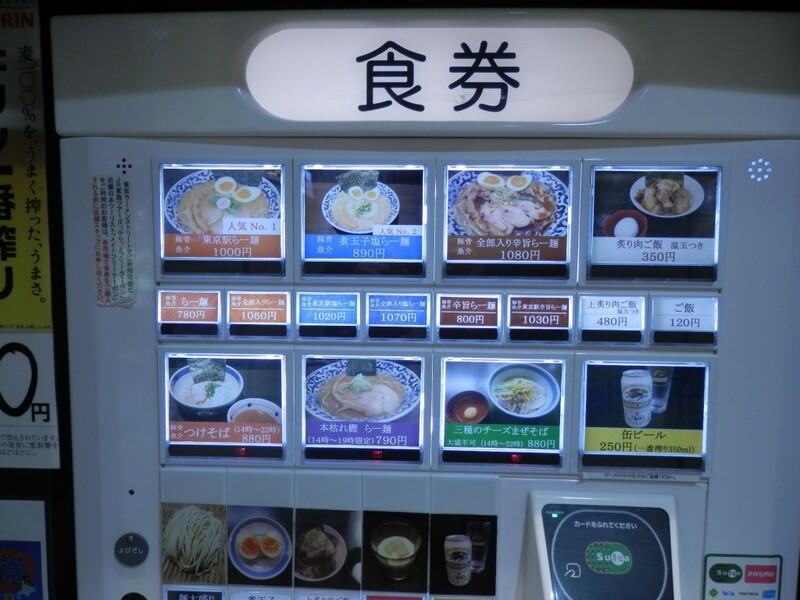 It was located in “Tokyo Ramen Street” within “Tokyo Ichibangai”. I had been to “Kudan Ikaruga” several times and had waited more than 30 minutes before entering. At the same time, I had found line of people in front of this shop the other day. This time, it was at 10:42 when I arrived there. It was half full inside. 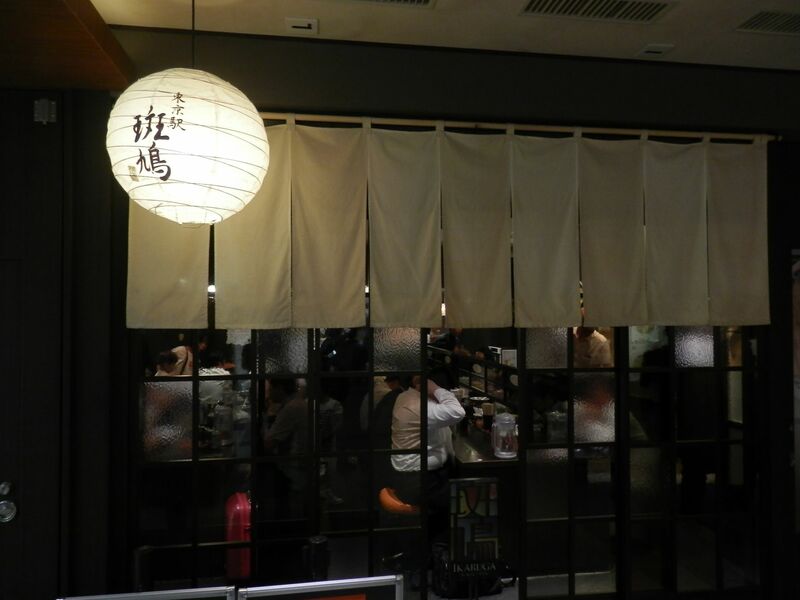 If it was out of lunch time, you could easily enter even it were such a popular ramen shop. Toppings were bamboo shoots, roasted pork fillet, boiled egg,seaweed,Naruto, welsh onion and mizuna. Large bamboo shoots. Too big to be in a picture. It was 1.5times bigger than one in a picture. There were two pieces in a bowl. 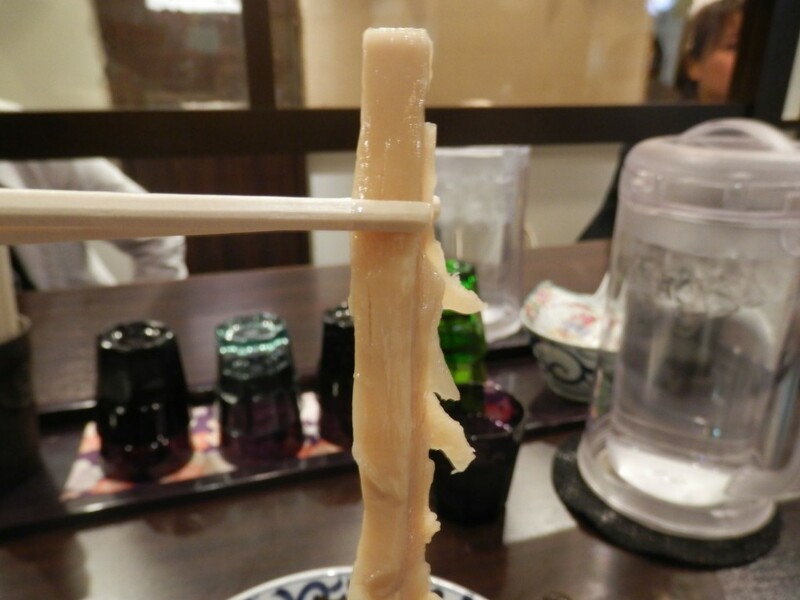 It was softer and more delicious than normal bamboo shoots. Roasted pork fillet was thick, large and soft. There were two piece of them. Absolutely delicious. Noodle was almost straight and middle thick. It was reasonably firm and matched soup very well. 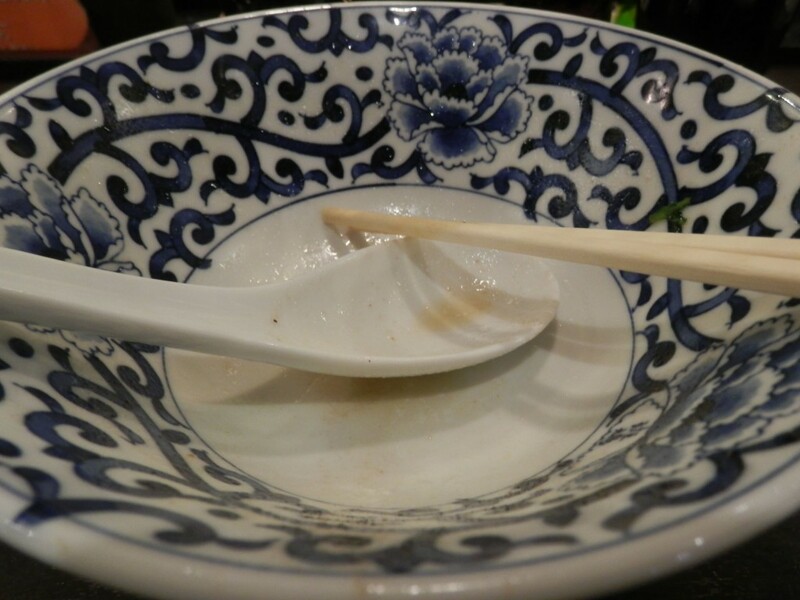 Soup was so called W-soup with fish and animal taste. Soft and good taste without any mal-flavor. 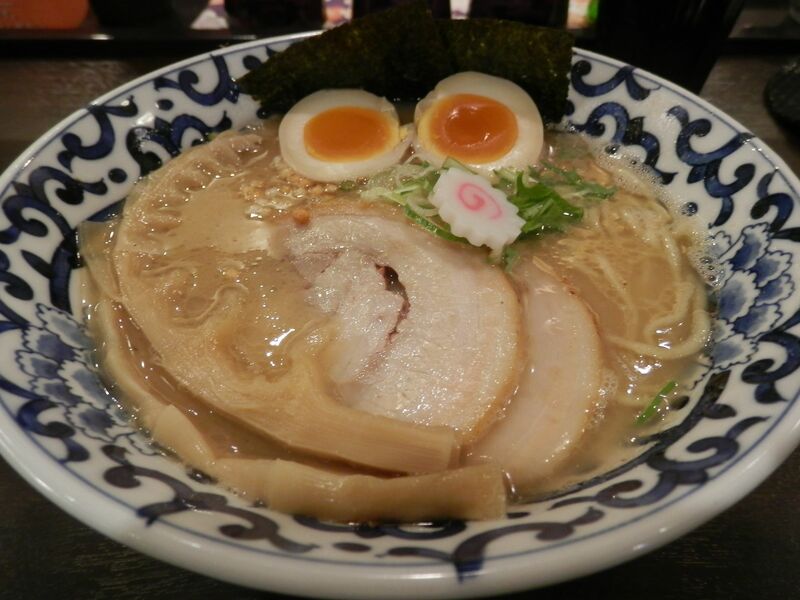 This ramen was rich but not heavy, probably everyone loved it. 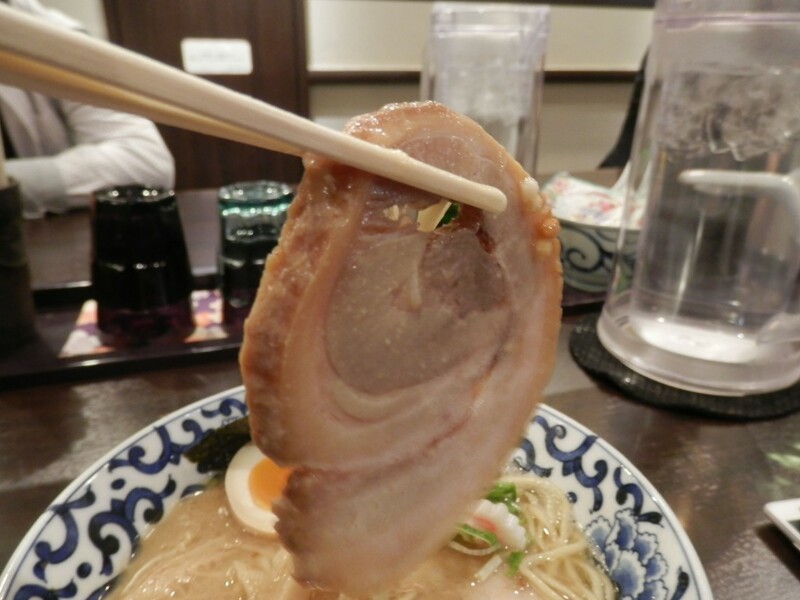 This ramen didn’t get cold with film of fat of pork on its surface. 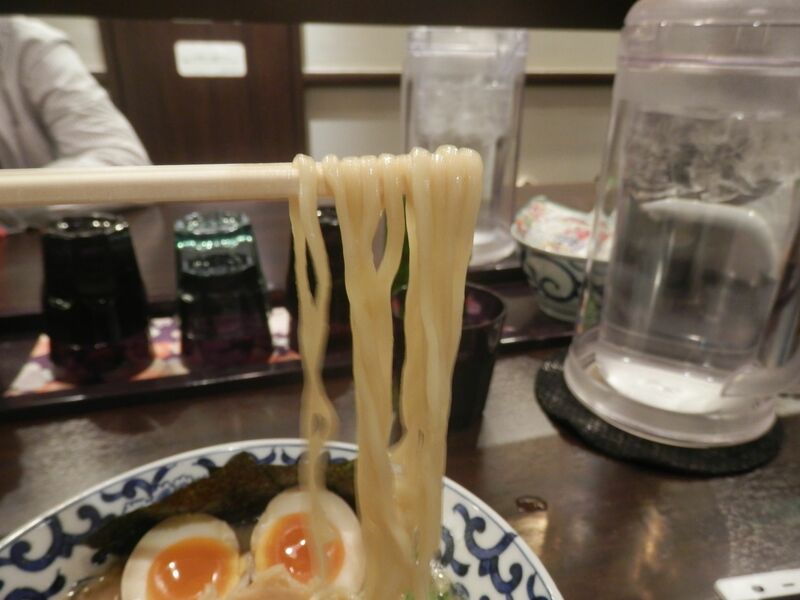 You could enjoy hot ramen to the end.